Want to know the secret of successful crime writing? Join our Masterclass on March 20 to find out. We have assembled five stars from the crime-writing and publishing world to pass on the tricks of the trade in what promises to be a fascinating event. It's probably worth coming even if you don't have authorial aspirations, just to enjoy an evening of top-class literary insights and gossip. See full details below and find out how to book your place. Of course, if you simply want to carry on reading the best of crime and thriller fiction, look no further than this month's recommendations, from a European classic to a giggle-tastic Los Angeles adventure. I hope you are continuing to enjoy Crime Club. Email me at the address below and let me know what you think. Henry Sutton runs the University of East Anglia’s MA in Crime Fiction, and has written nine novels: ask him about structure, craft and technique. Literary agent Jane Gregory has masterminded the careers of Val McDermid and Minette Walters, among others, and knows exactly what she’s looking for in the next great crime writer. Julia Wisdom edits and publishes Stuart MacBride, SJ Parris and Simon Toyne. She can tell you what publishers want and don’t want. 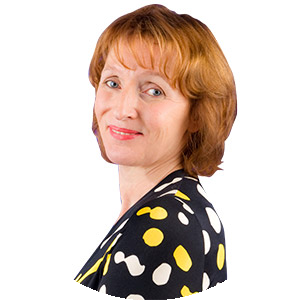 Sophie Hannah, an international bestseller, writes intricate psychological thrillers and with the blessing of the Agatha Christie estate she has also written two brand-new Hercule Poirot novels. Who better to discuss what the modern writer can learn from Agatha Christie, and what works — and what doesn’t work — to create a successful psychological thriller? You wrote nearly 100 Regency romances before turning to crime. Were you ever tempted to introduce the odd murder to liven them up? I actually did put a good few murders in my Regencies. Impoverished young bucks were always spying for Napoleon, the heroine finds out and her life is in danger, his lordship rides to her rescue and happily ever after. The historical research was enormous. I still have an A-Z of London 1811. What makes crime “cosy”? Is it the setting, the characters or the tone of the writing? Calling some detective books cosy is a patronising remark and the next person who makes it about my work will get the Glasgow kiss. Oh, I’m joking, you Thought Police out there. Because no one gets their testicles nailed to the wall, and the villain is depraved because he’s deprived, my books are considered not gritty enough. The village mystery is therefore damned as being unreal. What kind of crimes are unacceptable in a “cosy” adventure? I can only speak for myself. I don’t like to read about torture and I certainly don’t like books where children come to harm. Where do you get your plots? I get my plots from studying people in villages and murders in the newspapers. Was Robert Carlyle the right choice of actor to portray Hamish Macbeth in the TV shows? I don’t think so. He is a very fine actor but he did carry on like a wee scunner when he insisted Hamish should smoke pot. Which crime authors do you enjoy? I like detective stories with a bit of humour in them like Simon Brett’s Charles Paris mysteries or Stuart MacBride’s lesbian inspector who is always munching sweeties. Colin Watson’s Flaxborough novels are the best. 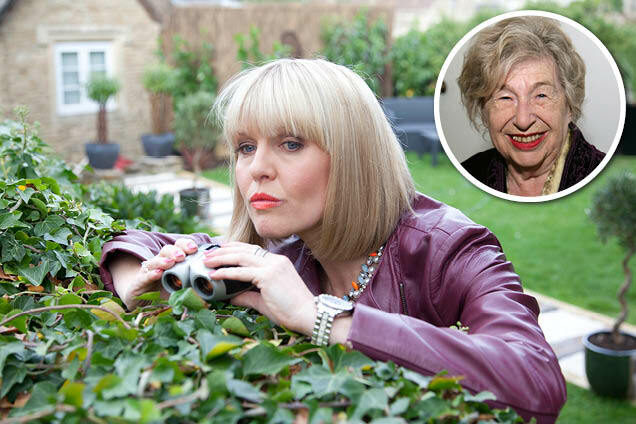 Are there plans for another Agatha Raisin series with Ashley Jensen? I think there is going to be an Agatha two-hour special — but that’s a guess. Family relationships, whether of victims, suspects or the police, are never entirely relaxed or straightforward in Jonasson’s Iceland, a place of claustrophobic communities tenaciously guarding their secrets. In an isolated town, local policeman Ari Thor is delving into a 50-year-old death that might not have been suicide — then a child goes missing. Chill and fear rise from the page in this dark and tangled mystery. 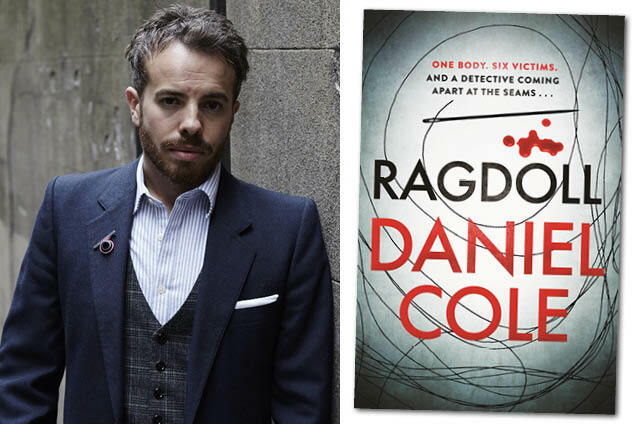 Daniel Cole’s career trajectory has been astonishing: from Bournemouth ambulance paramedic to a serial-killer-thriller writer with publishing deals in 34 countries for his debut, Ragdoll, which Orion is bringing out next month (Buy it here / Read first chapter). Daniel is inviting one Crime Club reader plus a friend to have lunch with him in London, where they’ll receive a signed first edition of the book. 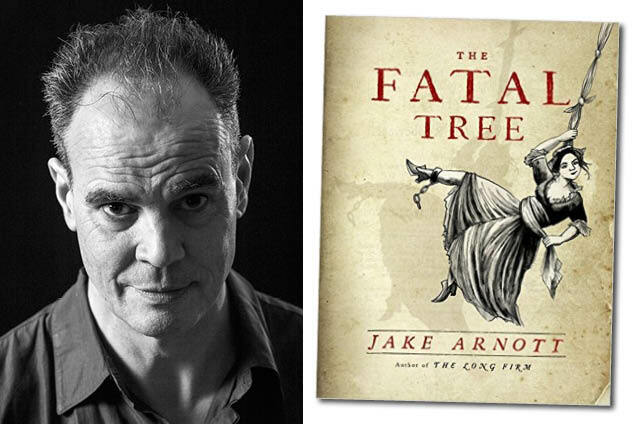 If you fancy tucking in with the author who can dream up a plot where the dismembered parts of six bodies are stitched together to form one “corpse”, you can enter the draw here. Closing date: February 10. Cans of beer with braille on them. A sign informing you that Japan is the world’s biggest importer of reggae. Octopus ice cream. Petrol station attendants bowing as cars pull away. I, for one, left Japan with more questions than answers. 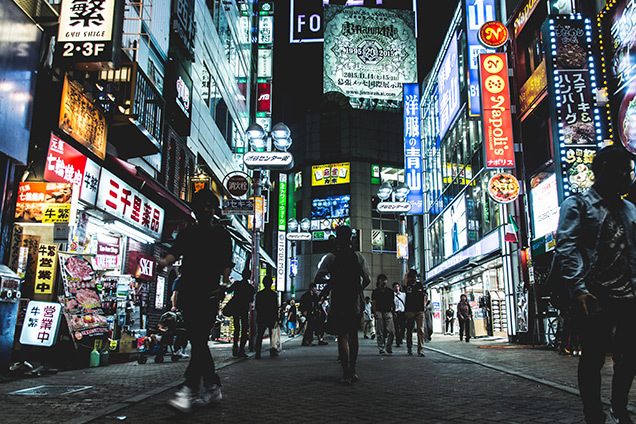 And, along with them, a newfound obsession with the chilling case of the Miyazawa family — an unsolved murder of four in the year 2000 that was the starting point for Blue Light Yokohama, my novel about a quietly grieving Tokyo homicide detective. Called suiri shosetsu (“deductive reasoning fiction”), the crime genre is wildly popular — and there are some excellent translations available. Keigo Higashino’s The Devotion of Suspect X sold over 2m copies in Japan, while Hideo Yokoyama’s Six Four sold an incredible 1m in a week. At least ten major awards are given annually, one of the most prestigious being the Edogawa Ranpo Award (Ranpo is considered the doyen of Japanese crime — his name a phonetic translation in homage to Edgar Allan Poe). 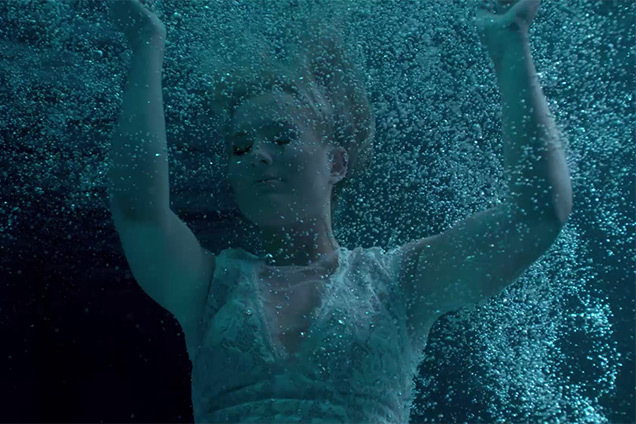 Screen gem: why should only movies and TV shows get trailers? Well, now books can have them too — when the publisher is being flash with the marketing cash — and Find Me, an intricate thriller by JS Monroe (formerly journalist Jon Stock) gets the Hollywood treatment in this moody bit of video ahead of its February 9 publication by Head of Zeus (Buy it here / Read first chapter). Sadly, although a crucial moment in the book takes place on Cromer Pier in Norfolk, the creative team steered clear of the location, perhaps not wishing to evoke associations with the climactic finale of 2013’s Alan Partridge: Alpha Papa, which was also filmed there. What next, a theme park? Ian Rankin has announced that he will be holding a three-day festival in the summer to celebrate 30 years of his moody Scottish detective. RebusFest will include live music, walking tours, interactive events, screenings and talks, with experts, artists and performers on hand to burnish the Rebus image. The event will take place in Edinburgh from June 30 to July 2 — the full programme will be announced later this year. Harrogate hots up: Weekend passes are already on sale for the annual Theakston Old Peculier Crime Writing Festival at the Old Swan Hotel in Harrogate from July 20-23. But before tickets to the Special Guest events go on sale on February 13, the organisers are offering one lucky Crime Club reader the chance to win a pair of tickets for one of these sessions with the superstars of crime. Star attractions include Lee Child, Ian Rankin, Dennis Lehane and Kathy Reichs, plus a Grantchester TV event featuring writer James Runcie and one of the show’s stars, Robson Green. For a chance to win, check out the full programme here, then email crime@harrogate-festival.org.uk, stating which event you’d like to attend and the subject line: Special Guest Competition. The closing date is February 10. Top of the class: Galaxy Quick Reads is a series of short, easy-to-read books priced at just £1 each. It’s a terrific annual campaign from The Reading Agency to get more people reading more often, and two new crime and thriller titles will join the series on February 2. Dead Simple, published by Orion, is a collection of short stories from eight bestselling authors, including Clare Mackintosh, James Oswald, Harry Bingham and Antonia Hodgson, and there is also One False Move, a standalone title from Dreda Say Mitchell, with more to come. Orion is offering 20 Crime Club readers the chance to win a copy of Dead Simple. Just email your name and address to QuickReads@fmcm.co.uk, by February 10 and make the subject line: Dead Simple. Crime journalism really took off in the early 18th century when chaplains at Newgate Gaol would take a confession from a condemned prisoner, then sell it on Grub Street. The story would be worked up into a pamphlet to be sold at the hanging of the offender as his “last dying words”. A cautionary tale for the public, which, if lurid enough, might earn the holy man a pretty penny. Compilations were made that became bestsellers such as “The Newgate Calendar”. A wise villain facing execution would make a deal directly with the publisher. By the time housebreaker Jack Sheppard did such a thing, he already had some experience in negotiating his memoirs as his story had been told many times. Having escaped prison three times — and re-arrested after spectacular chase — Jack had become the most famous thief in London. He parlayed a book contract stipulating his retainer be paid to his mother at any time he might be “indisposed”, which indeed he was when he escaped, miraculously, for a fourth time. It was from this narrative that I first learnt of his mistress, the notorious Edgworth Bess, who led the young Jack astray. “A more wicked, deceitful, and lascivious wretch there is not living in England”, he said of her, thus inspiring me to make her the central character of my novel. 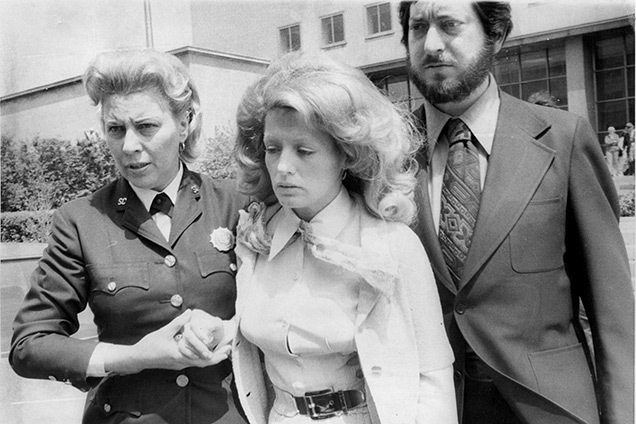 And the cops were as media-savvy as the villains back then. There was no coherent police force, only a corrupt system of self-appointed “thief-takers”. Two rivals in this racket, Charles Hitchen and Jonathan Wild, used pamphlets to post scandalous things about each other in print. This “paper-war” culminated in Wild outing Hitchen as gay and a frequenter of “molly-houses” with devastating effect as news travelled quickly through an internet of coffee-houses. Known as “penny-universities”, here one could get access to all the journals of the day for the price of a cup of coffee. And so the whole of London could keep up with the latest gossip and the wicked Jonathan Wild could assume the title of “Thief-Taker General”. Mick Herron's Slough House, his oppressive MI5 office block, is to 21st-century spy fiction what John le Carré’s The Circus was to the 20th century. His ingeniously plotted, darkly comic books have attracted praise and awards in lavish measure: Mark Billingham says “you NEED to read him”. 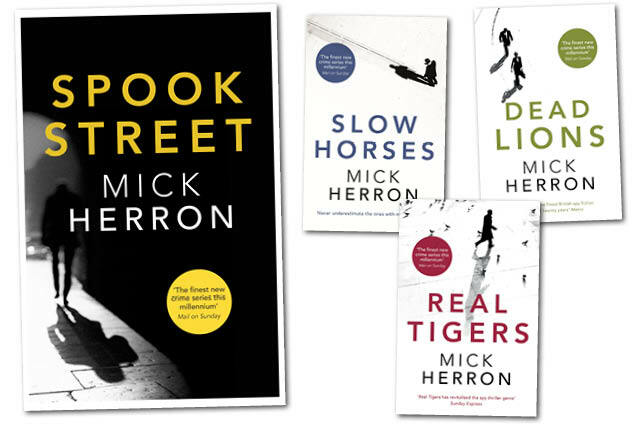 To help you do just that, publisher John Murray is offering ten Crime Club readers the chance to win a set of Herron’s first three espionage grippers: Slow Horses, Dead Lions and Real Tigers. Just email your name and address to emma.petfield@hodder.co.uk with “Herron” in the subject line by February 10.